Action Play Systems wheelchair accessible ramp systems are the only true universal playground ramp systems available today. 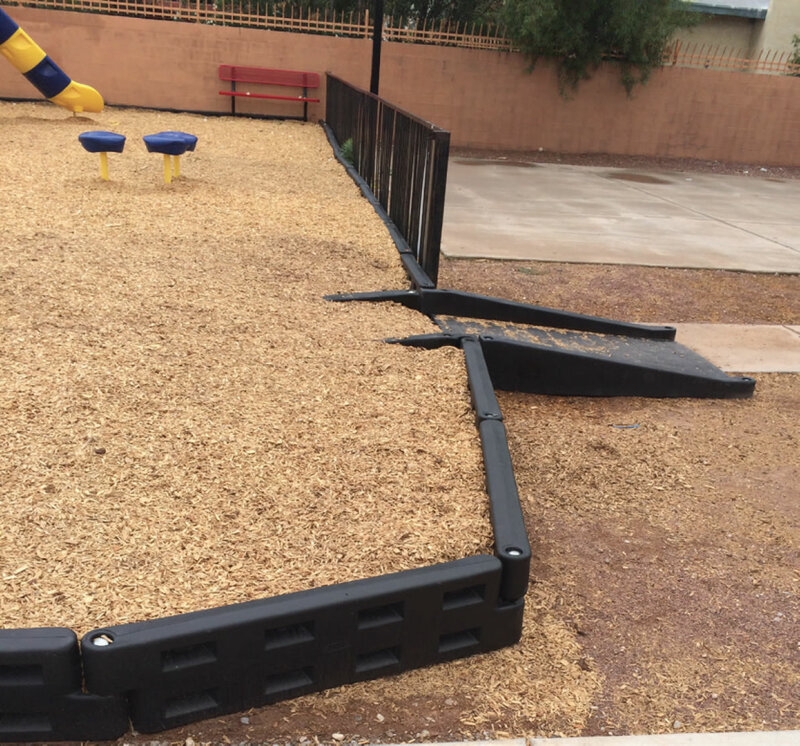 Designed to mount independent of the playground borders; APS full and half ramps provide an ADA/Wheelchair accessible entrance to the playground while offering a clear point of entry and exit to the playground. 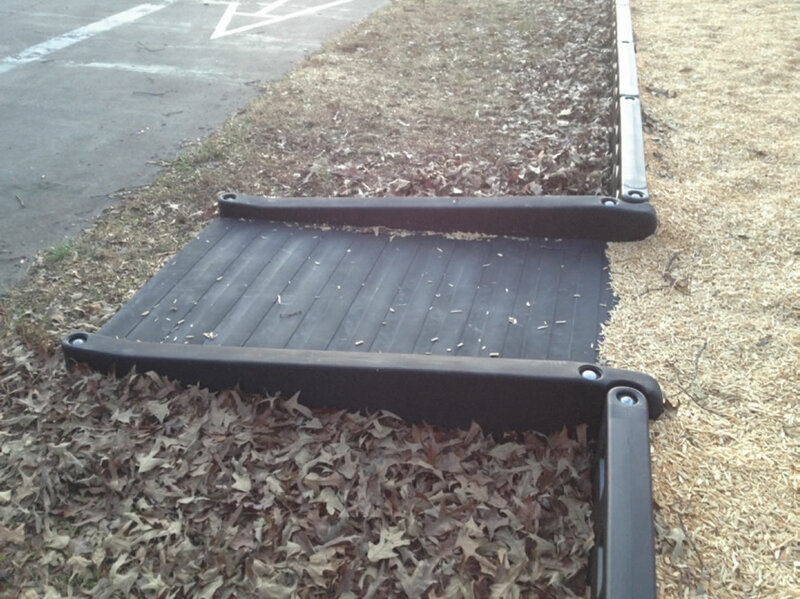 Each ADA ramp system includes (2) each 4" and 6" filler ends as well as the necessary spikes for installation. 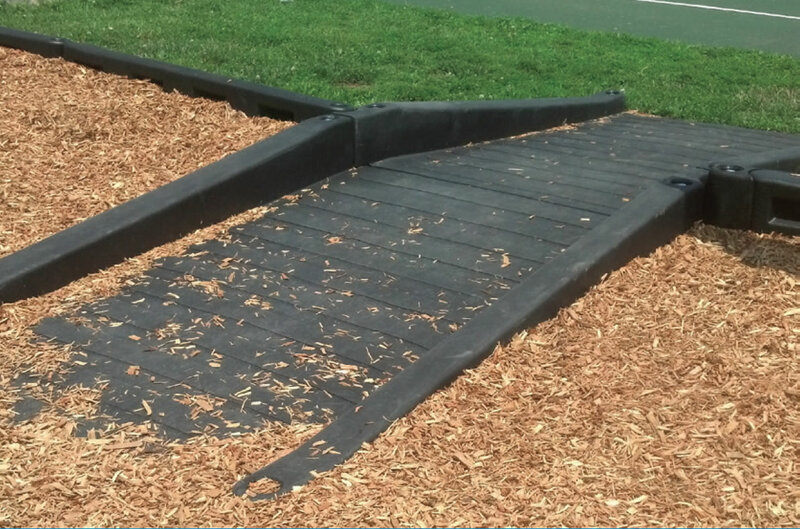 Our APS-ADAFullRamp includes 2 halves while our APS-ADAHalfRamp includes 1 half to provide access into the play area. These regulations adopted revised, enforceable accessibility standards called the 2010 ADA Standards for Accessiblie Design, "2010 Standards." On March 15, 2012, compliance with the 2010 Standards was required for new construction and alterations under Titles II and III. March 15, 2012, is also the compliance date for using the 2010 Standards for program accessibility and barrier removal.